Did one of your best friends recently get engaged? Celebrate the bride to be and give her a gift she will love! 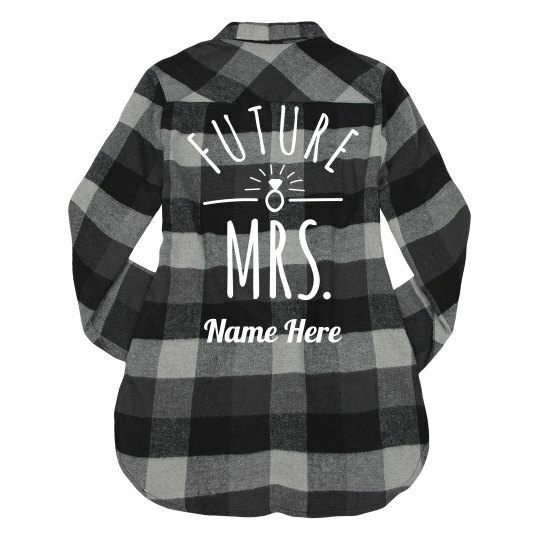 This future Mrs. flannel is perfect for the bride to wear while she does all of her wedding planning. It's also great to wear to the bachelorette party. Put her name on this flannel and give it to her as an engagement gift.